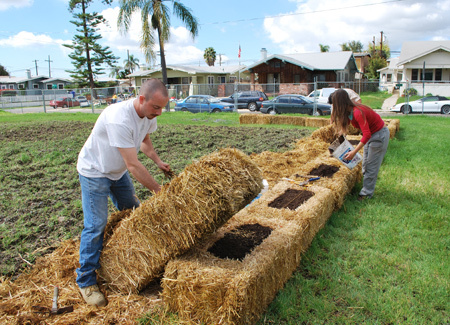 The project utilized locally grown grain to promote awareness of current issues in commercial food production. In February of 2010 a vacant lot in urban North Park was transformed into a field of wheat. Community members also grew wheat in their home gardens and gathered for a community harvest. 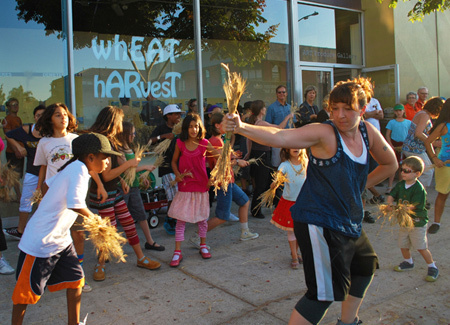 On September 11, 2010, the streets of North Park became a dance floor as Eveoke Dance Theater lead over 100 participants in transporting locally grown wheat to Art Produce Gallery. Using threshing tables, winnowing baskets and a bicycle powered grain mill, the participants were invited to process the grain into flour. 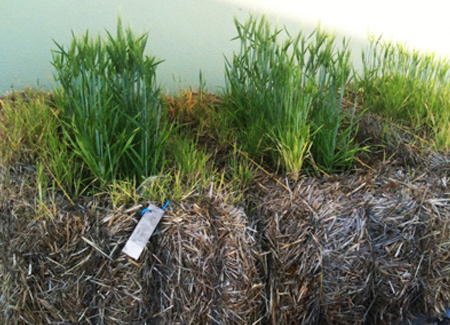 On exhibit in the gallery was a wheat inspired installation, documentation, and artist designed grain processing equipment. 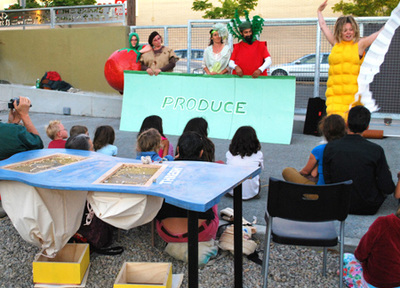 The premier event kicked off the opening celebration of the Art Produce Garden, a space for participatory public art, community engagement, programming, performance events, film screenings and food production! 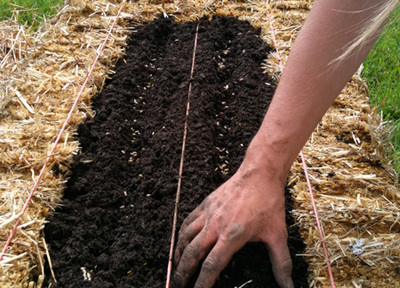 Learn more at www.wheatharvest.org.